NAO is a humanoid robot that we have feature previously on Geeky Gadgets, and now the maklers of the original NAO robot, Aldebaran Robotics, has launched a new version called the NAO Next Gen, which you can see in the photos below. “The inception of this new generation of NAO robots means a lot to our company. We are proud to be in a position to provide our customers with endless options, whatever their sector. With NAO Next Gen coming of age, we shall be able to make it serve organisations that care for autistic children and those losing their autonomy. I created Aldebaran Robotics in 2005 with this aim: to contribute to humankind’s well-being,” states Bruno Maisonnier, Founder and Chairman of Aldebaran Robotics. 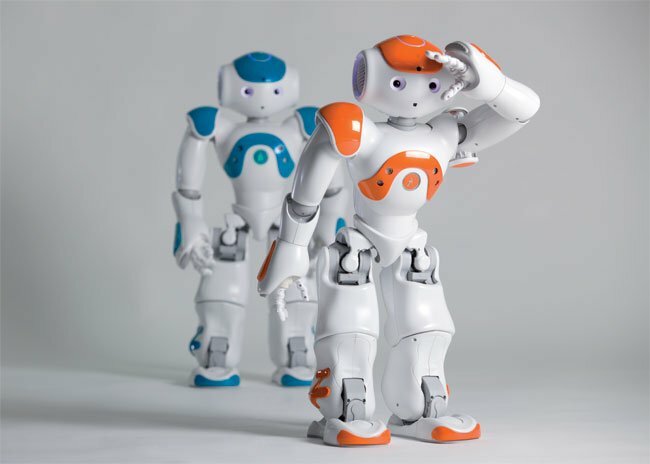 You can find out more information about the NAO Next Gen robot over at Aldebaran Robotics.